Walt Disney always loved to entertain people. Often it got him into trouble. Once he painted pictures with tar on the side of his family's white house. His family was poor, and the happiest time of his childhood was spent living on a farm in Missouri. His affection for small-town life is reflected in Disneyland Main Streets around the world. With black-and-white illustrations throughout, this biography reveals the man behind the magic. 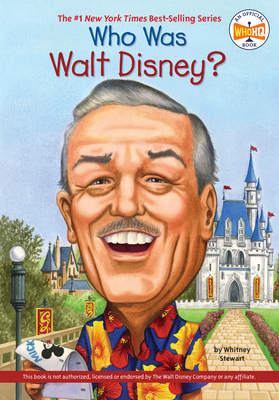 This book is not authorized, licensed or endorsed by the Walt Disney Company or any affiliate. Whitney Stewart lives in New Orleans, Louisiana. Nancy Harrison lives in Allentown, Pennsylvania.